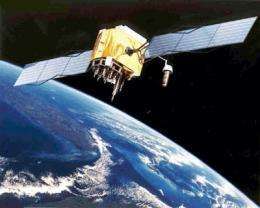 GPS is a navigation system of more than 30 satellites circling the earth. These satellites transmit signals to receivers on land, sea and air. The GPS receiver uses these signals to triangulate their exact position anywhere on the planet. GPS jammers send out a radio signal that’s the same frequency as the satellite signal. Since GPS satellite signals are weak, a GPS jamming device that puts out approximately 2 watts is sufficient to disrupt a GPS signal in a vehicle that’s approximately within 10 feet of the device. This leaves the in-vehicle system unable to establish its position and report back to a GPS tracking center, where the vehicle is registered. There are also fears that terrorists can use these devices to disrupt air traffic and cause severe safety and economic damage to the US. More powerful jammers could disrupt GPS signals in close proximity of airports, causing safety concerns. Our military overseas use GPS extensively to record their position as well as the position of the enemy. With GPS jamming devices in the hands of our enemy, U.S. and allied forces can be severely impacted when launching ground and air-strikes. In Germany, it’s believed that some drivers are using GPS jamming devices to evade GPS-based road charging; a concept that was introduced for trucks in 2005. In Germany, as well as the UK, it’s illegal to sell or use such jammers, however it appears to be legal to import or own them. Emergency networks, power stations, airports and other things that rely on accurate timing of GPS signals would have very serious consequences if a powerful GPS jamming signal was used on these locations. In the UK a detection system is now in its prototype stages that would be deployed at airports, harbors and other locations that rely on accurate timing of GPS signals. So we take institutional poor design decisions, to have a single point of failure for a key public safety system, and penalize the public? This is absurd. The second rate engineers who relied on a signal that could easily be disrupted by both natural phenomena and simple man-made devices should be reprimanded. Why punish the public? Seems like propaganda and spin to cover-up poor decisions and lack of planning. Can't we have some extra GPS transmitters at fixed locations on the ground near important navigation places such as airports and seaports? They should be able to send the same signal as the satellites, with higher harder to disrupt power. Its not quite that easy. For a GPS unit to fix your position it needs to see at least 3 units(4 is better though). And they do have ground based units that provide jitter correction for the GPS system on the ground. Its probably a moot point any way as the GPS systems is quite old and many of the satellites or at the end of their design life any way and or starting to fail. Making it a security concern will mean that preemptively, taxpayers will be on the hook to pay for the fix(or next-gen upgrade), while, at the same time, being forced into the position of de facto surveillance, any time you use a hand-held or other GPS-equipped device. Airports don't need GPS- that's what radar, altimeter, et c. are for. This is strictly a Law Enforcement/Security issue, and as such, should be examined very closely to uncover potential damage to civil rights. What you will see proposed as a solution to this "problem" will be a Law with sweeping effects throughout society(think warrantless wiretapping) with very little by way of oversight. An M1 tank to kill a mosquito- with predictably catastrophic results. XYZ-To say these are "second rate engineers" who should be "reprimanded" for making poor design decisions is absurd and displays zero knowledge of GPS and the associated applications which use the L1 signal. This is a constellation whose civilian signal was more or less an after-thought. Current civilian receiver technology has made significant progress given the severe limitations of the L1 band - namely transmit power. Once the block III birds replace the aging block II, the game will change. Quite simply, critical applications depend on GPS for navigation (i.e, Garmin), timing (many communication networks use GPS to provide a time reference) and control systems. Caliban- Airports do need GPS. However it's not the way you're thinking - you're missing the point of the real killer issues. Aircraft use GPS for safety-of-life navigation. Imagine someone with a jammer on a plane. Also, GPS is receive-only. You can't be tracked using your Tom Tom by itself. As a pilot, I learned how to fly prior to gps becoming mainstream in the cockpit. Yes, I do use one and have become quite dependent on it but in the back of my mind, I have always thought about the possibility of jamming or sabotage to the network. I still use the vor's (VHF Omni-directional Radio Range) and ndb's (Non-Directional Beacons) for navigation in addition to my gps. They are tried and true and can't ALL be taken down in a single shot. I'm a little worried about ndb stations that are being shut down in the U.S. (cost, obsolescence, more reliance on gps...) I hope someone, somewhere is thinking about a back-up plan for aviation in the event that the gps system suddenly disappears but I suspect nothing will be done until something major happens and our immediate response will be to ground all aircraft until the government gets over the shock and tries to figure out how this could possibly have happened and should have been prevented. I would think that if the problem starts becoming reality and not just a possibility, then they may just switch the signal over to a frequency hoping algorithm similar to what the military already uses. I for one think that we are becoming too reliant on satellites for everything, and there will be a growing need for something revolutionary to replace them. Seems to me firing a missile at anything transmitting on that band at altitude less than 100 miles would be a pretty effective way to deal with jammers. How satellite phone can transmit incorrect coordinates? How monitoring of spoofed locations is possible? How about putting receiver for GPS frequencies into helicopter and seeking any ground based transmitters. Any found are worth investigating, since there are no legal applications for those. So we take institutional poor design decisions, to have a single point of failure for a key public safety system, and penalize the public? I didn't see anything in this article about penalizing the public. However, disrupting the GPS signal should be a criminal offense. To argue that its the fault of the design, is like arguing that its ok to rob someone because they left their house unlocked. That is morally bankrupt. So proofing my home against EM radiation would be a criminal offense? That's going a bit far. There's not much you can do against jammers. A local jamming source will always be easily stronger than a signal sent from outer space. I wonder how many of the 'misguided missiles' in recent conflicts can be attributed to the use of such units. Does anybody actually work on these cars, because my guess is their are more GPS systems being disabled by wire cutters, hammers, and other more common and less expensive car theft tools. Or are the GPS senders and receivers somehow armored to prevent disabling so easy?